ALMOST EXACTLY A YEAR LATER UPDATE: Thanks to @mattdpearce for tweeting out the FBI has actually made a fine-looking wanted poster for these soup cans, which you can download here [pdf] It’s only 8.5×11, but it’s a start! And what is the most interesting stolen Warhol on the black market right now? 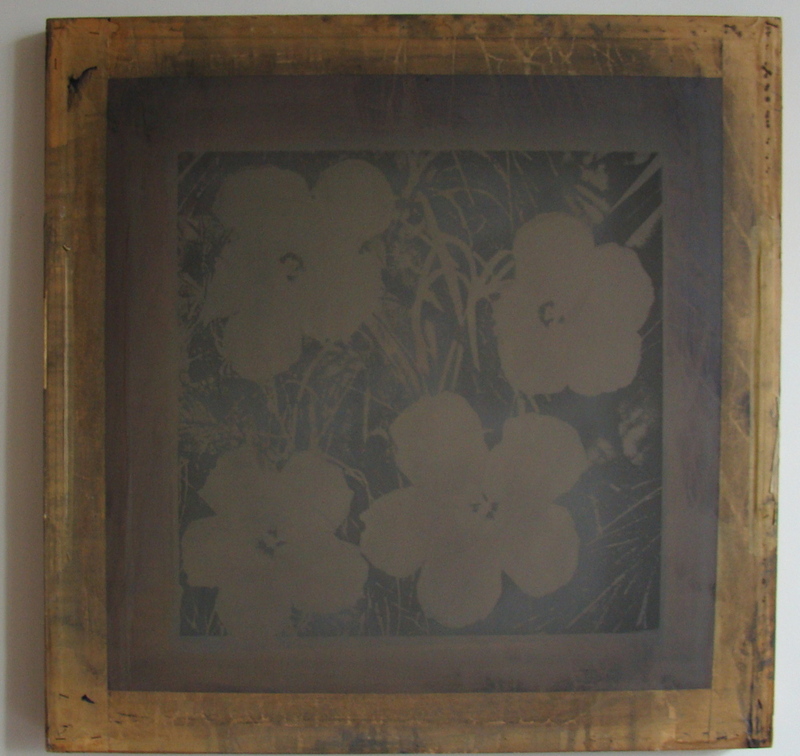 It’s the screen Warhol used to print Flowers. If the screen is 36 inches across, the image would be about 24 inches, the size of the 1964 paintings. [There are also approximately one million later Flowers prints, but they’re bigger.] Is this one that Warhol lent to Elaine Sturtevant? Now *that* would be some provenance. 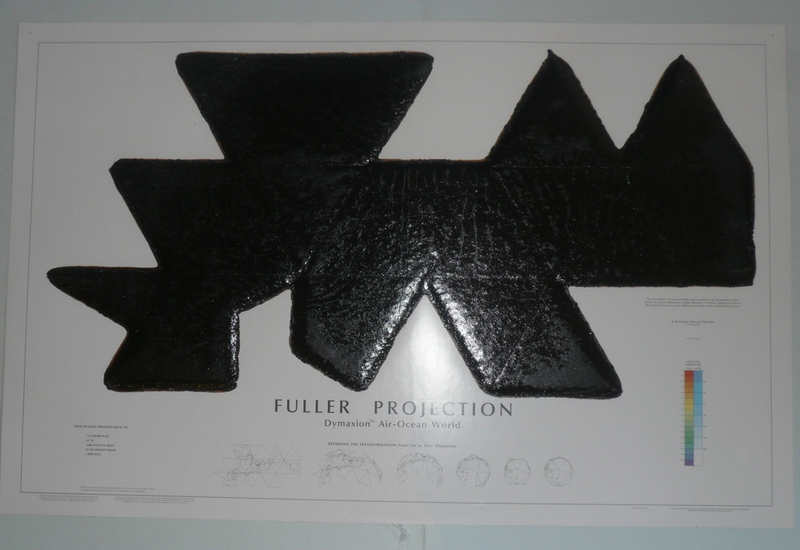 The Warhol screen turns out to be one of 10 works in the FBI file listed with additional information of “DE106.” It’s an interesting and unusual bunch: a Larry Rivers sketch for his Frank O’Hara portrait; a Buckminster Fuller Dymaxion Map covered with tar by Matthew Day Jackson; a self-portrait by Rene Ricard. An unidentified collector in Corktown seems to have had a cartload of works stolen over the weekend of April 27-29. The FBI released photos […] and announced a $5,000 reward […], but they feared “the artwork may have been transported out of the country.” Which, when you’re on the other side of a bridge from Canada, is probably always a concern. 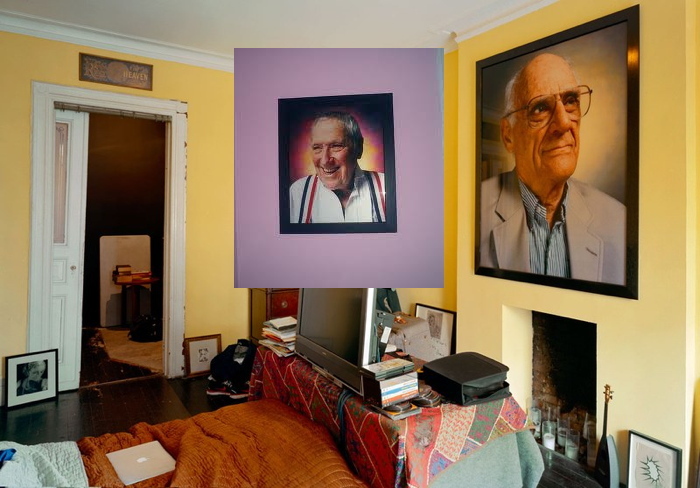 inset: the jacked Serrano photo of Weinstein, collaged onto Robert Polidori’s 2012 VF photo of Scott Griffin’s Chelsea Hotel apartment, with a Serrano portrait of Arthur Miller. If you couldn’t tell from the paltry reward, the works were uninsured. One unusual piece is a 2003 Andre Serrano portrait of the poet and librettist Arnold Weinstein. Weinstein lived in the Chelsea Hotel, and this Vanity Fair photoset by Robert Polidori includes a very similar Serrano portrait of Weinstein collaborator Arthur Miller. It’s in the apartment of producer Scott Griffin. Who moved to Detroit, bought a warehouse building that housed the offices of HuffPo and Curbed-and had his art storage cleaned out, probably by an employee with a master key. They also took a Segway. I made a wanted poster, in case the FBI scrubs their metadata. One blog report said the Warhol screen had “disintegrated so much over the years that it cannot be reused.” Which sounds like a challenge. What could you get from printing with a disintegrating Warhol screen? I would love to find out.